Explore how automation will revolutionise Service Management in the coming years. 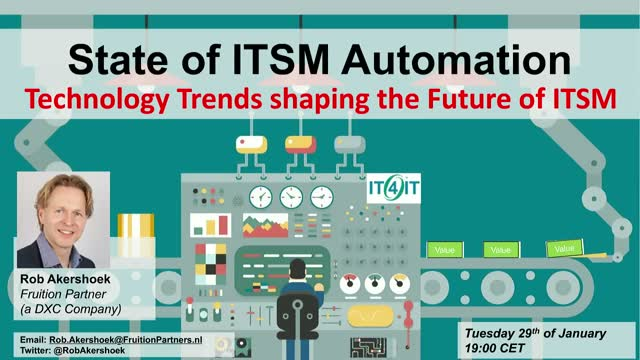 This webinar provides an overview of the most important and latest trends related to automation with the IT organization. Learn about the most important technology trends transforming the IT operating model and way of working within the IT service organization (mapped to the IT4IT standard from The Open Group).